8am-outside air temperature – 77 degrees, warming to 89 degrees by 10am. A gentle east wind, 79-degree water temperature with flat seas, a mild north current and visibility of 40 feet on the reef. Crew-Chuck Van Buskirk, Ken Udell, Kyle Good and myself. The weather continues to be awesome for diving with very mild winds and warmer water temperature. Most of our diving has been on the third reef, where there is a lot of structure, producing a large amount of fish. Today we ventured off Deerfield Beach, to a nice reef called Fricks. This reef is 50-feet at the top and 65-feet at the bottom, so with good visibility, it’s a nice reef to spend some time spearfishing. When we are strictly spearfishing on Scuba, our tactic is to be as high off the reef as the visibility will allow. Another trick is to be side-by-side your dive buddy, so you can see each other out of the corner of your eye. Most Scuba divers are taught to follow-the-leader as they were trained by an instructor. With spearfishing, it’s all about keeping your buddy in sight to see what they are doing. My buddy today was Kyle, a neighbor who has been diving with me for a long time. He’s an accomplished spearfisherman and we both were able to land a nice hogfish. 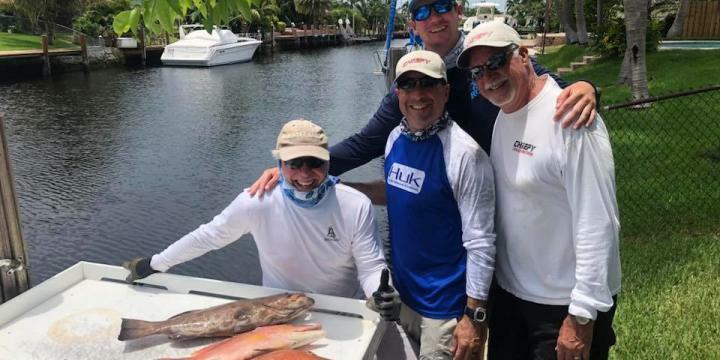 The State regulations changed this year on harvesting hogfish to allow the species to repopulate. We’re only allowed one hogfish per person and it must be a minimum size of 16 inches. The season started on May 1st and will go to only October 31st. 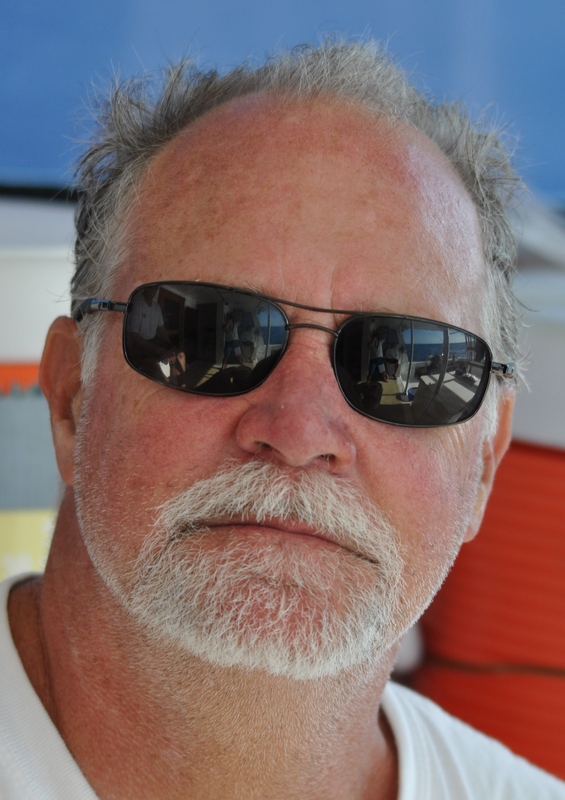 But the “King of the Reef” designation went to Ken, who was buddied with Chuck, when he landed a nice black grouper. They are a prized fish as they’re difficult to harvest because they’re always on the move. The State has a restriction of only one per person during the season of May 1st to December 31st, but they must be a minimum of 24 inches. Todays catch was three nice fish, two hogfish and one black grouper, making the day very productive. It’s always nice to be able to eat the freshest seafood in the Greater Fort Lauderdale area, and today was a great example of why we spear fish.